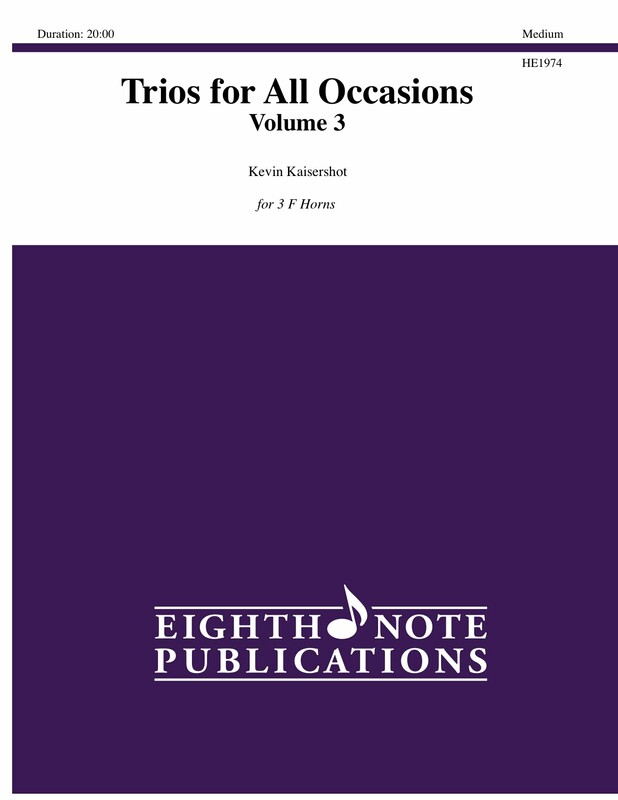 This is a collection of original compositions by award winner educator and composer Kevin Kaisershot set for 3 like-instruments. The arrangements are suitable for a variety of performance situations such as school concerts, at church or on community gigs. Pieces included are: Bagatelle, Honor and Tribute, Galop, Siesta, Eighth Notes, Minor Burns, Ode Melancholique, Plie, Regimental, Serpent Dance, Tattered Rag and Peckle Polka.